Now in its 18th year of publication, Oil Review Middle East is the region's leading English- and Arabic-language oil and gas magazine. 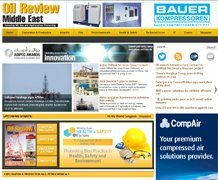 Published eight times a year, each issue of Oil Review Middle East provides a mix of industry news, analysis, country reports, sector surveys, technical features, exhibition and conference previews and news of the latest industry technology, from the GCC states and Iran to North Africa and the Caspian. The magazine has the highest ABC-audited circulation in the region and is distributed at each of the region’s major industry . 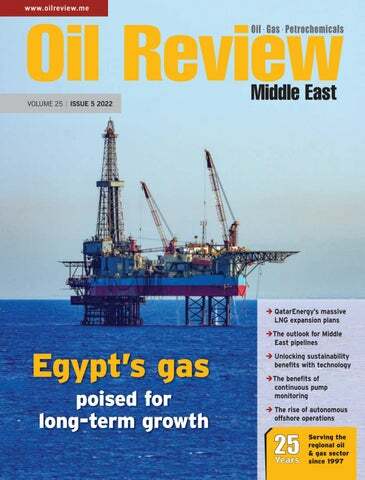 Since its launch in 1997, Oil Review Middle East has built up a strong readership of government officials, MDs, CEOs, engineers and industry leaders, and today represents the best value for any campaign, online or in print. By combining authoritative and respected editorial with an unrivalled circulation and readership, Oil Review Middle East is the selected platform for advertisers around the world today. The magazine is augmented by a fortnightly e-newsletter and a website which is updated daily.